In 2015, we spent a week in Cape Cod with my in-laws, staying in the adorable town of Woodshole. 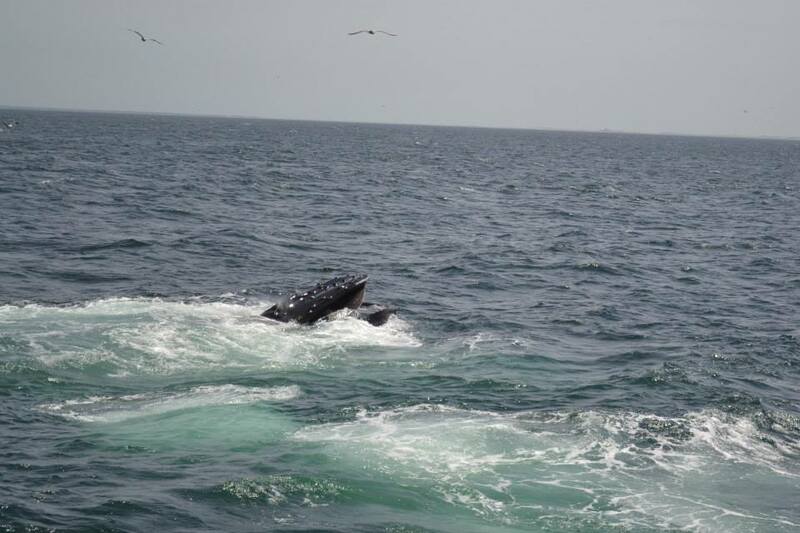 When we started planning our trip to the Cape, I had one thing on my “must do” list: Go whale watching. I had no idea what an amazing experience it would actually be and haven’t stopped saying how it was the BEST DAY EVER. 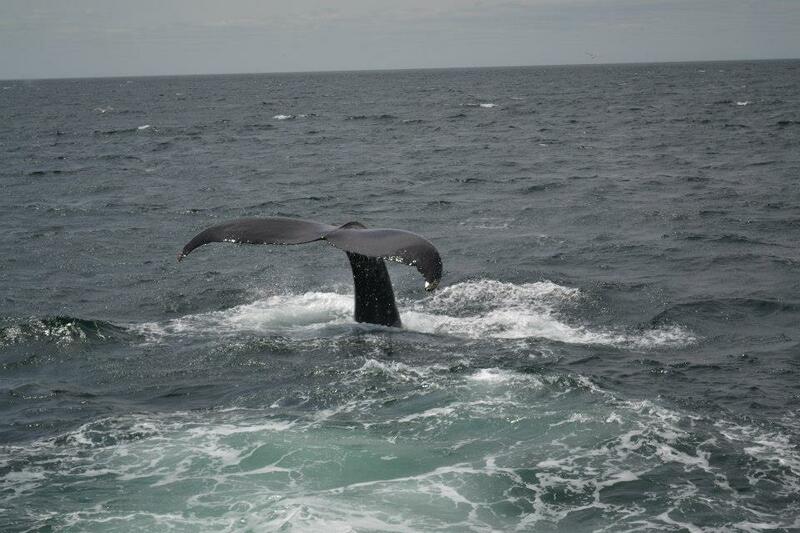 We selected Hyannis Whale Watcher Cruises for our tour. Even though we arrived 30 minutes before departure, all of the seats up top were taken, so we slid in on the left side of the boat (still a great view!). There’s a list of about 10 things to do when preparing for your whale watch but there’s only one you need to pay attention to: BRING EXTRA CLOTHES. Not because you’ll get wet, but because you will be freezing. I wore layers initially (a tee shirt, long cardigan, and took a rain coat), but was advised to get a sweatshirt before boarding. I purchased one from the gift shop (I bet they make a million dollars a year just off of sweatshirt sales!) and could not have been more grateful for that tidbit of advice. At one point, my teeth were chattering and my hands were numb (no exaggeration here!). Still, it was the best day ever. 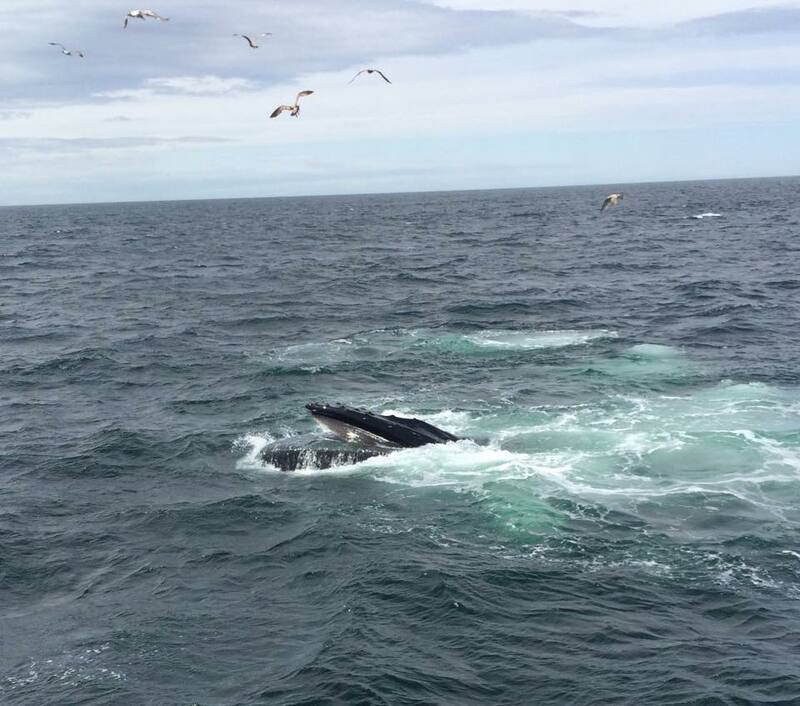 We witnessed whales feeding, which was quite the show. They would dive down and smack their tails on the water (to concuss the fish below) before disappearing for around four minutes and then come back up filtering (like above) the saltwater out of their mouths and keeping the fish inside. Not being an expert on whales prior to the trip (now a self-proclaimed expert), I had no idea what they were doing at first, but our tour guides were extremely informative and helpful when answering questions and just explaining things in general. There were three separate sets of mothers and calves that we saw. The calves were too young to fish on their own, so they were mostly playing while mom did the work. The calves were jumping, showing off their tails and we even saw one that was nursing. It was all just as incredible as it sounds. I couldn’t believe how close the whales got to our boat, but our guides explained that many of them had been around big boats like ours since they were young so they weren’t scared. Thank goodness we’re not still killing them (I’m looking at you, Japan!). Sea Shepherd, as you may have seen on television, tries to stop the Japanese boats from killing the whales. So many animal populations are being killed off by humans that future generations will only know them from text books. I loved how our tour guides, and the company, work hard to protect the whales and the environment. 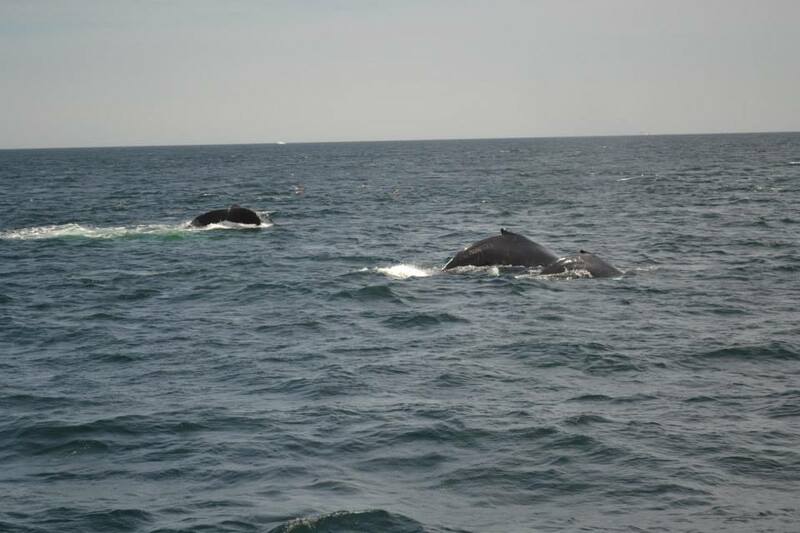 As we traveled back in to Barnstable, we passed a mother and calf playing again. The mother was slapping her fins on the water loudly, and the calf was jumping and showing off his tail. It was all a big spectacle and definitely a great send off after such an amazing trip. 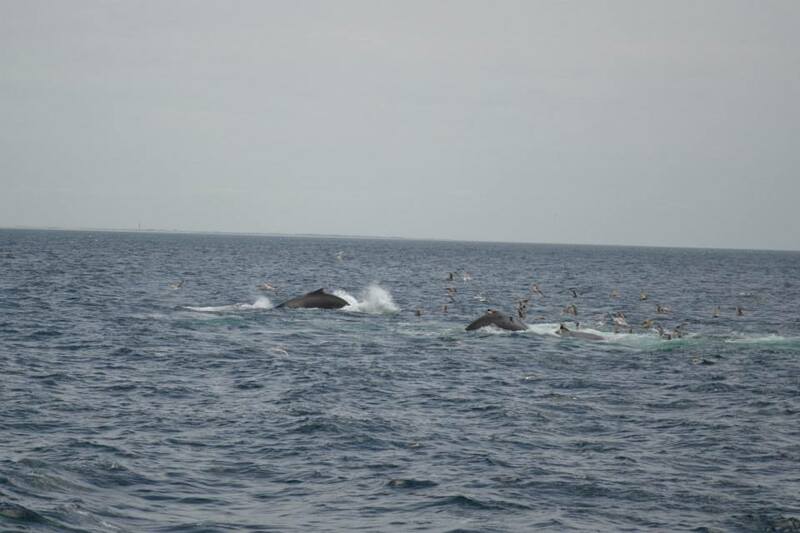 All in all, we saw around 20 whales on the tour. 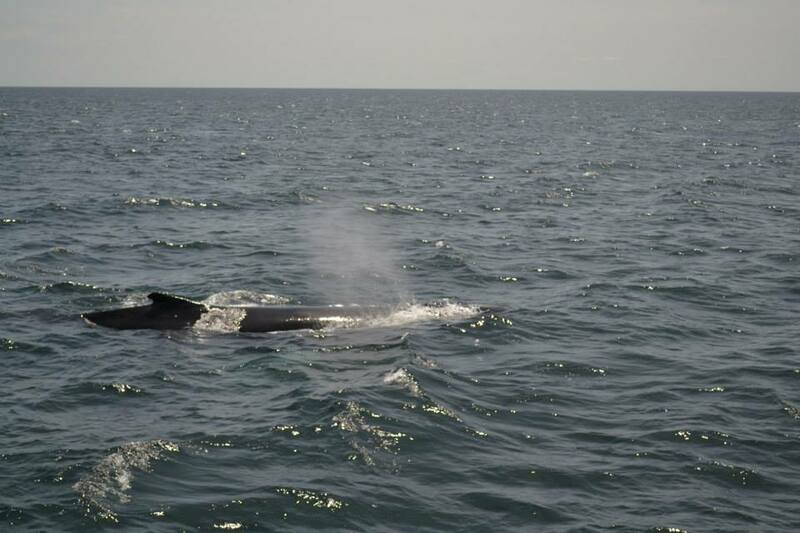 You could spot them by their blow holes (picture above), bubbles appearing beside of the boat, or generally, wherever there were lots of birds, a whale was underneath. I highly recommend taking this trip if you’re anywhere near Cape Cod, but don’t forget to bundle up! *links are affiliate links which means I will get a small commission if you choose to purchase the items but it doesn’t cost you anything and the money goes towards keeping my blog alive by paying the annual fee!